Should You Stay in Hilo or Kona? When visiting Hawaii, where is the best place to stay on the Big Island: Hilo or Kona? The answer is that it depends on you. Given the time you should spend a few days in both places. But if you have to choose one or the other, it depends on what you would like to experience more. Hilo is the side of the island where you can get a more authentic local experience. Less tourists stay here and it is less geared towards tourists and focused on everyday locals. It is rainier, but the rain makes it very verdant and provides the raw material for majestic waterfalls and amazing lush gardens and greenery. Kona is focused on tourism. You will run into a lot of fellow visitors there. It has most of Hawaii’s resorts and more beaches too. It seldom rains at the lower elevations and is much more suited to you if you like relaxing on the beach and hanging out at the resort. Hilo has excellent bed and breakfasts, so it is a great place if you like those sort of accommodations. It is known for waterfalls and is closer to the Kilauea Volcano, which is one of the things that should be on every visitor’s list of things to see. If you like gardens and waterfalls it is also the place for you. 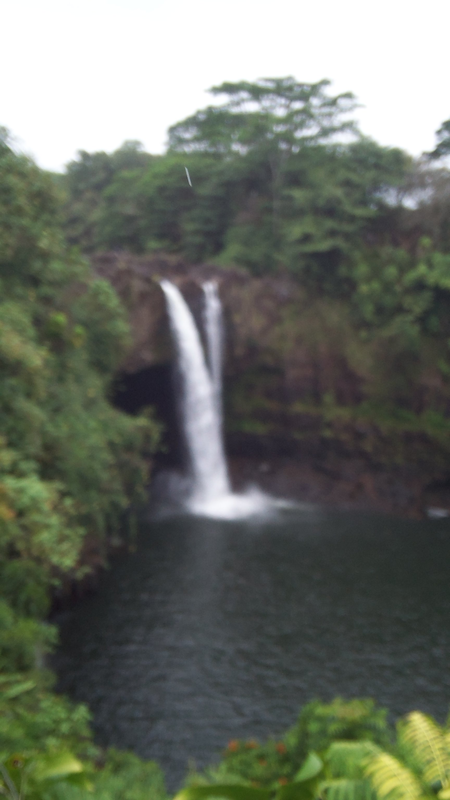 Hilo might be the wettest, rainiest city in the U.S. but most of the rain falls at night, leaving your days open to see things like Rainbow Falls, Akaka Falls and Hawaii Tropical Botanical Garden http://www.htbg.com/. The Hamakua coastline is located just north of Hilo and has spectacular cliffs and ocean views along with the scenic Waipio Valley lookout. It is also easier to get to Mauna Kea, Hawaii’s Highest Mountain, using Saddle Road, from the Hilo side of our Island. If you want warm sunny beach weather and all the typical tourist amenities like white sand beaches, sprawling resorts, fine restaurants and stunning sunsets, then the Kona side of our island is the place for you. Kona is also home to Kona Coffee Farms, some of which give tours and has a lot of opportunities for swimming, snorkeling and short boat cruises to places like Kealakekua Bay, which has amazing quantities of brightly colored tropical fish and also the Captain Cook Monument in the location that Captain Cook died. You can also see the City of Refuge, which is a fully preserved Ancient Hawaiian City. So should you stay in Hilo or Kona? The real answer is that you should stay in both places. Do You Need A Room With Air Conditioning In Hilo? If you are visiting Hawaii, you may be wondering if you need to get a room with air conditioning when visiting Hilo. The answer is that it depends. My house in Hilo doesn’t have air conditioning and I am perfectly comfortable using standing fans and ceiling fans even when the summer heat arrives. But then again, I get cold in air conditioning. If you come from a cold, dry climate, then it you are probably going to need to get a room with air conditioning when you visit Hilo, because the average high temperature during August is 83 degrees and the average humidity is 75%. But if you are from a place that is hot and humid, you can probably don’t need a room with air conditioning. You will probably feel more than comfortable with a ceiling fan or standing fan.